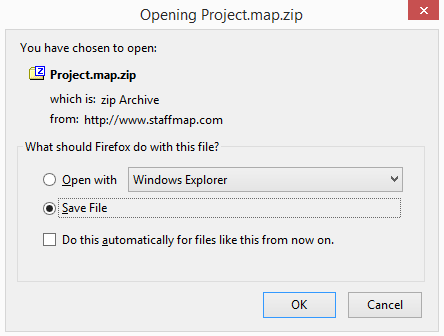 Administrators may need to move their project from one installation of StaffMap to another, or want to secure a backup of their work. Backing up a StaffMap project can be done easily and quickly with the 'Backup' tool in the Sidebar Menu. StaffMap project back ups need to be made using the 'Backup' tool. Back ups will have the file suffix '*.map.zip'. Select the grey 'Info' button beside the project you want to back up. 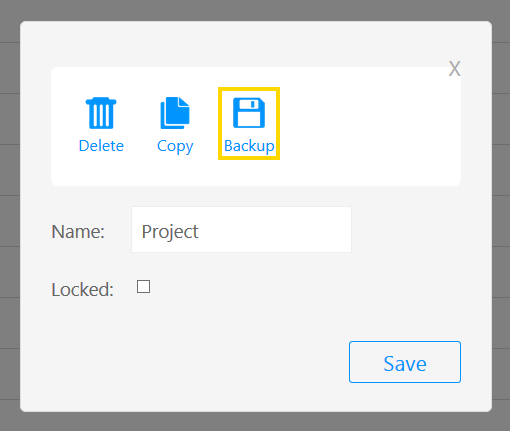 Select the 'Backup' button in the resulting window. Wait for the back up file to compile and then save the file to a specified location on the server. 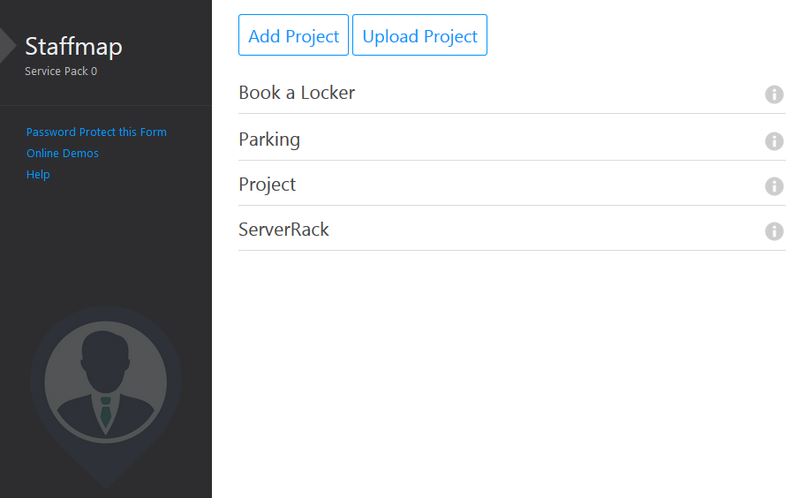 Open your StaffMap project and log in as a user with sufficient permissions to back up projects.